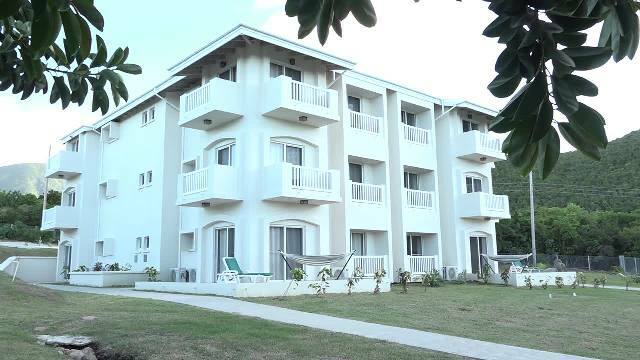 NIA CHARLESTOWN NEVIS (October 17, 2016) — “Now we can celebrate what we promised.” Those were the words of co-owner of the Mount Nevis Hotel Dr. Adly Meguid, when he delivered remarks at a reception to dedicate and introduce 12 new suits (Phase 2), showcase other upgrades and to name the hotel’s conference room on October 14, 2016. Dr. Meguid said one year after they had broken ground, the hotel could now boast of having a total of 50 rooms, is a four star hotel and is a member of Preferred Hotels and Resorts and expressed hopes for continued expansion. He thanked the Nevis Island Administration (NIA), who he acknowledged have been very kind to the hotel over the years, since its inception in 1989. “We are very grateful for all governments which we worked with. We are especially grateful and thankful to the present government, which was kind enough to provide us with incentives to build these buildings,” he said. Dr. Meguid also thanked all those who worked on the project including contractor Meredith Hendrickson, the hotel’s resident architect and engineer Glanville Bowrin, Keith Swanston Electrician, Glenville Browne Plumber, LEFCO Equipment Rental and Construction Co. Ltd. for providing cement, Clyde Nisbett for connecting the internet and FLOW for the telephone system. He also thanked the hotel’s staff for their service. Meantime, Jeanette Grell-Hull, Manager of the Mount Nevis Hotel, described the occasion as a moment that all should celebrate with Dr. Meguid and the Mount Nevis family. 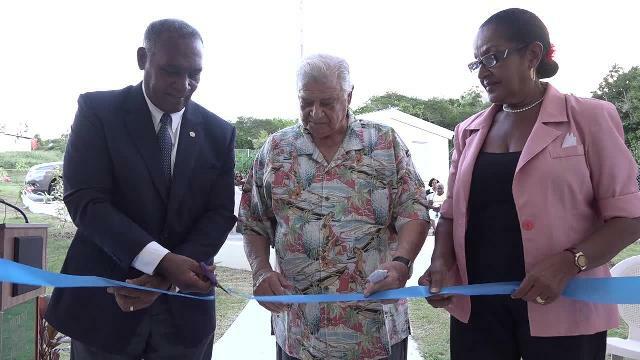 She said he had envisioned the dream of establishing a world class hotel that would be able to accommodate visitors to Nevis and offer them affordable and top class accommodation. Grell-Hull also thanked all who were involved and worked tirelessly to make the project a success making it possible for Dr. Meguid’s dream to become a reality. Premier of Nevis Hon. Vance Amory made complimentary remarks and the benediction was given by Pastor Theophilus Kelly. At the end of the brief ceremony, Mr. Amory and Dr. Meguid cut the ribbon to signal the official open the hotel’s new wing. Invited guests were then taken on a tour of the new rooms and were given a first-hand view of the upgrades done to other parts of the hotel.